Enjoy peaceful country living in Sharon Township with major shopping and dining amenities just a 15 minute ride away. Fairlawn, Wadsworth and Medina are fairly equal distance from this beautiful neighborhood. 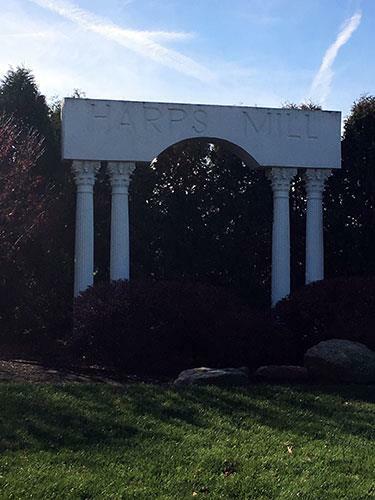 Harps Mill is located east of Hartman Road, south of Fixler Road and Phase III backs up to Koontz Road. This beautiful development is located close to Pine Valley Golf Course and offers residents the highly rated Highland School District. Phase III currently has 19 lots available. Please contact Legacy directly for more information on pricing and availability for these home sites. Click here for a Googlemap of this location. Click here to see what's under construction in Harps Mill. 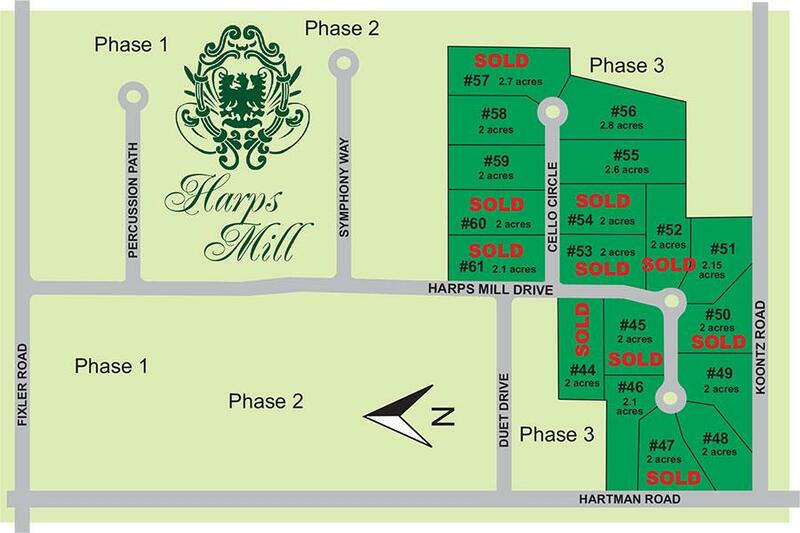 Please call for most current lot availability and pricing in Harps Mill.